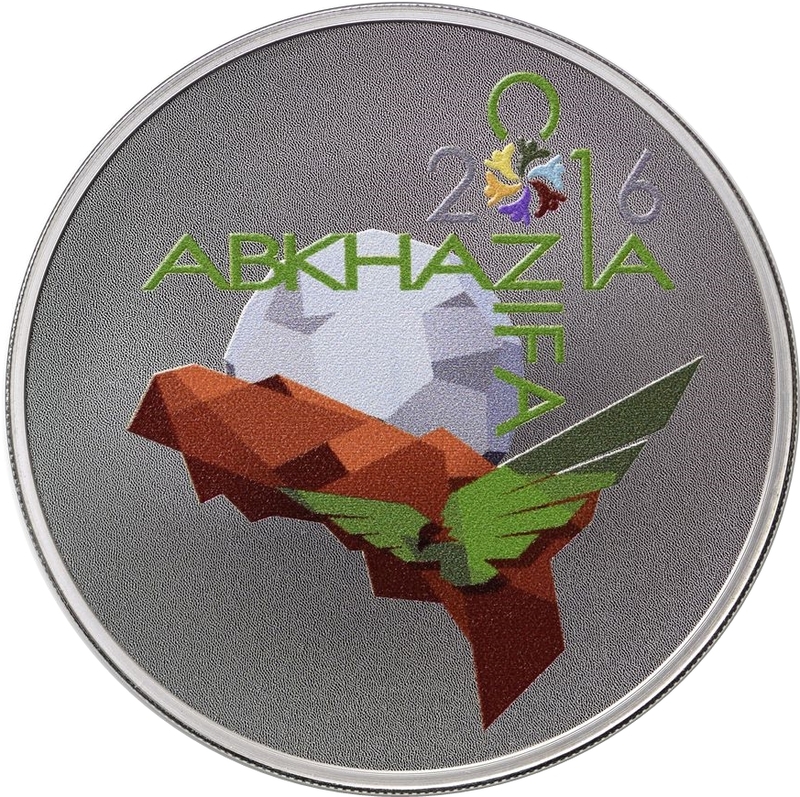 In the upper central part of the coin, there is a relief image of the national emblem of the Republic of Abkhazia. 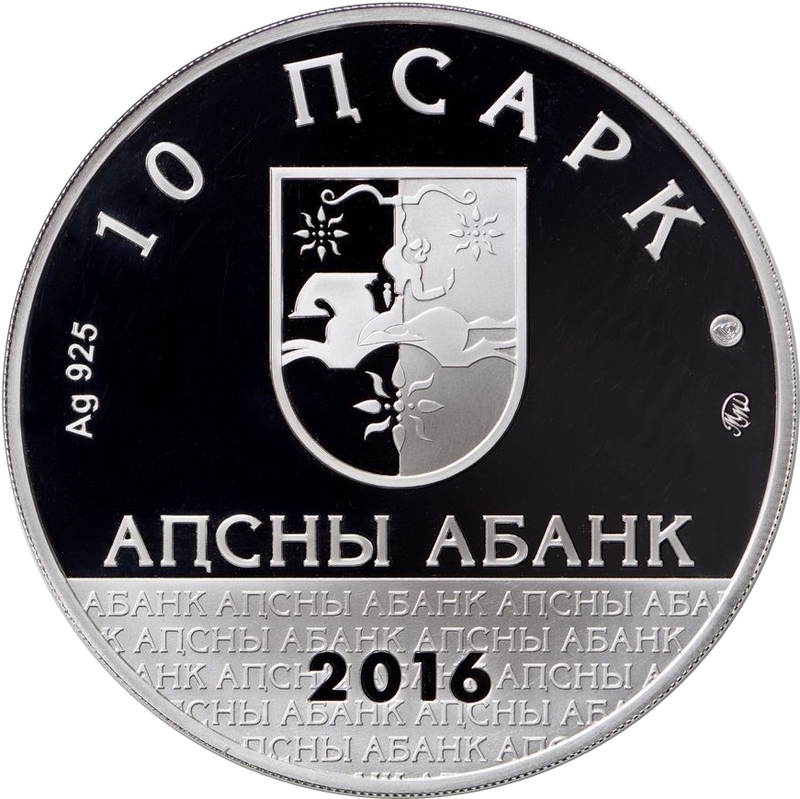 Underneath the emblem, there is an inscription in Abkhazian language “Apsny Abank”. 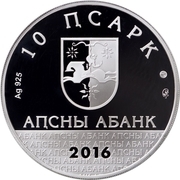 Above the emblem, there are inscriptions indicating the coin’s denomination – 10 apsars. 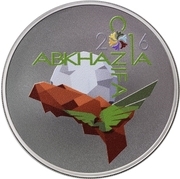 In the lower part of the coin, the year of issue is indicated – 2016. In the centre, there is a relief image of the official logo of the ConIFA World Football Cup. The relief image is in colour and it is made using a pad printing technique.